Working in PowerPoint can be a frustrating exercise in squinting, nudging and reformatting. It doesn’t have to be if you know a few tricks. PowerPoint might very well be the worst word processing application in the world—possibly because it was never intended to be one! 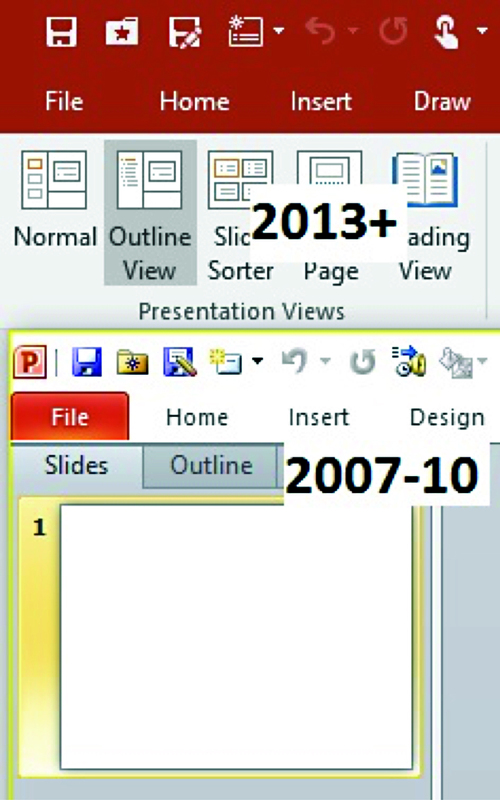 In versions 2010 and earlier, you will notice an outline tab above your slide thumbnails in the navigation pane. Click that. In later versions you’ll need to click on the View tab and select Outline View from the ribbon. Type the slide topics, bullet points and, if you’re using SmartArt diagrams, shape labels as bullet points. Just start typing.